and the sistrum of Kemetic temple dancers. 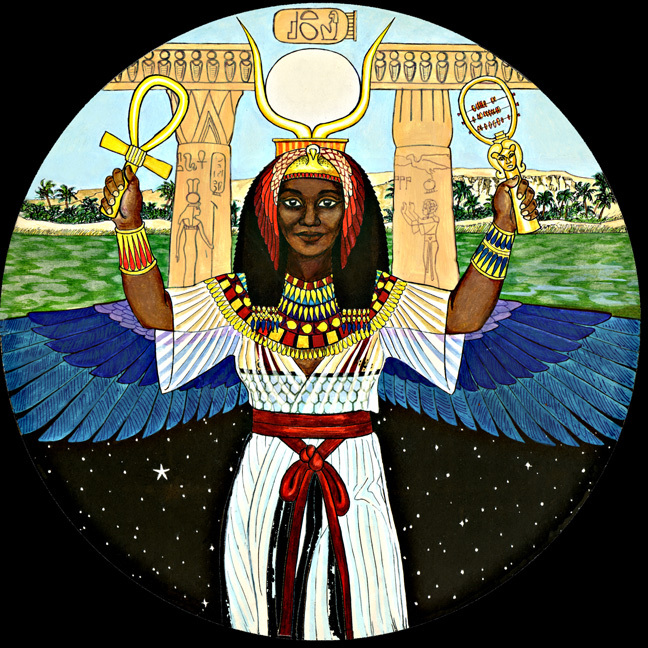 (Hathor) and the vulture crown of Mut (the Mother). her hips encircled by the Knot of Isis. Lady of Green Crops and of Bread.